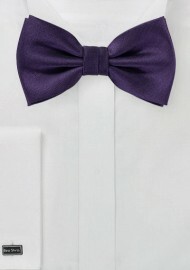 This bow tie pairs the simplicity of a solid color design with the uniqueness of a textured fabric weave. Take a close look at the fabric texture: A matte woven herringbone design. 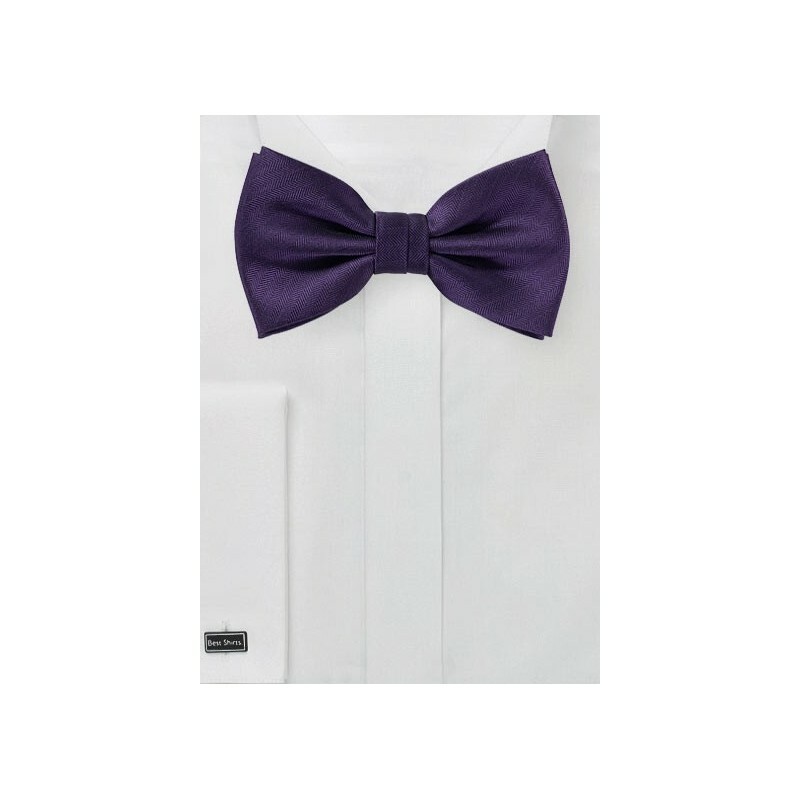 The deep regency purple color looks best on top of white, gray, black, light blue, lilac, or lavender colored shirts.